Digital Camera Poster Creator Edge Calibration - Shown below here is the Edge Calibration form of Digital Camera Poster Creator. The Edge Calibration feature ensures seamless posters. 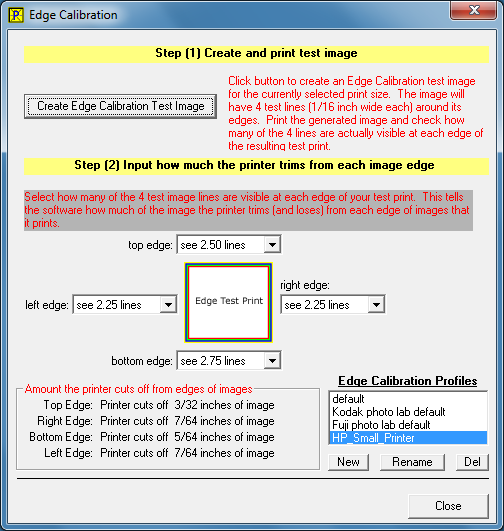 To setup Edge Calibration, you simply print out an Edge Calibration test print, then tell the software how many lines you see along each edge of the test print.